Water woes? 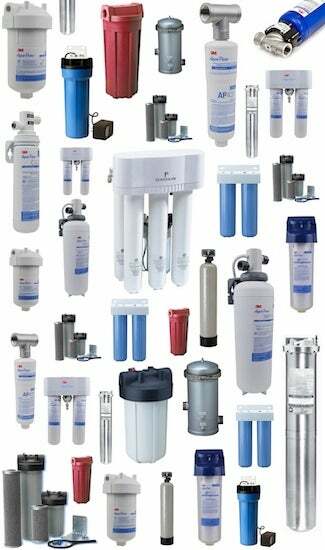 A good-quality water filter may be the answer, but don't simply purchase the first one you see on the shelf. Instead, read on to learn about the many different considerations involved, and for top tips from SupplyHouse.com on making the right choice for your household needs. Americans enjoy easy, take-it-for-granted access to some of the cleanest, clearest water in the world. Still, even water that’s deemed safe to drink can be comprised in quality. It may taste bad or look discolored, for instance. Alone or in combination, such issues provide reason enough to look into water filters. But bear in mind that water problems show up in other, subtler ways too. If you spot rust on kitchen or bath fixtures, or if you suspect scale buildup in your pipes, your household water may be to blame. Meanwhile, plenty of people, health experts included, worry about the unseen, long-term implications of drinking and bathing in H2O that’s less than pure. Under the circumstances, “It’s not so surprising water filters have gotten so popular,” says Daniel O’Brian, a technical specialist with SupplyHouse.com. In response to rising consumer demand, the market now offers a broad range of options, and while all filters work toward the same goal—eliminating contaminants—filters differ in at least two crucial ways. First off, different filters hook up to the home plumbing at different junctures, and that determines whether a unit serves the entire house or an individual fixture. Second, different filters employ different filtering technologies. No one technology proves effective against every type of impurity, but each offers its own unique set of strengths. So, which is the best water filter for you? “There’s never one single right answer,” O’Brian says. “It really depends on the specific water problems you’re facing, and what your needs are as a homeowner.” That’s why, in order to make an informed decision, it’s wise to familiarize yourself with the broad product landscape before going any further. By integrating with home plumbing at the point where water enters from the street, whole-house water filtration systems filter virtually every drop—even the water in the sprinkler system. “That’s overkill for most homeowners,” O’Brian says. But in extreme cases, or if you intend to filter water for more than a few fixtures, whole-house equipment may be well worth the higher price. 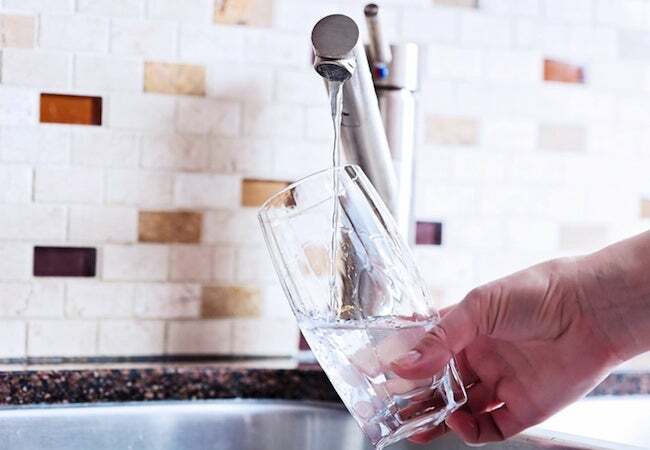 On the other hand, if you live in an average-size home and want only to ensure clean water for drinking and bathing, consider opting instead for an in-line water system filter or a drinking water system filter. These install not at the main valve, but along plumbing branches that service individual fixtures. There’s no such thing as a 100 percent effective water filter, and for most intents and purposes, you wouldn’t necessarily need one even if it were available. In the absence of a total solution, then, selecting the right filter means understanding how the most common technologies stack up against each another, and how effective each would be in remedying the specific water woes you’re facing. Reverse Osmosis. Perhaps the single most effective type, reverse osmosis (RO) units force water through a multistage filtration process. Stage one is a sediment prefilter, designed to screen out larger particulates (such as sand and silt). Next is a carbon filter to remove organic contaminants, including ones that affect water odor and taste. Last but not least, a semipermeable membrane takes care of chemical contaminants. In some RO filters, there’s even a fourth and final “polishing” stage. The downside? RO filters don’t do anything to mitigate the presence of microorganisms. Activated Charcoal. Especially common in drinking water systems, carbon-based filters capitalize on a special characteristic of charcoal: Many common organic impurities naturally bind to its craggy surface. The catch? In its natural state, charcoal doesn’t have enough surface area to deliver adequate filtering capacity. Once “activated” by an oxygen treatment, however, charcoal gains countless tiny pores, each one of which becomes a bonding site ready to capture contaminants. Activated charcoal may not be quite as effective as reverse osmosis, but if you’re concerned primarily with the taste and aesthetics of household drinking water, “you can do a lot worse,” O’Brian summarizes. Ready to take the next step? “Find out what’s in your water,” O’Brian says. After all, he continues, “there’s a big difference between water that tastes a little funny and water that can harm your health.” To get a water analysis, you have two choices: You can either send a sample to a lab or test the water yourself with a store-bought kit. In O’Brian’s estimation, only expert analysis makes any sense. Why? Doing it yourself sacrifices accuracy, and you can’t make the right decisions unless you trust the results. Once you know exactly what to filter out of your water and which types of filters are the most suitable for doing so, “it’s just a matter of matching the symptoms to the cure,” O’Brian concludes.